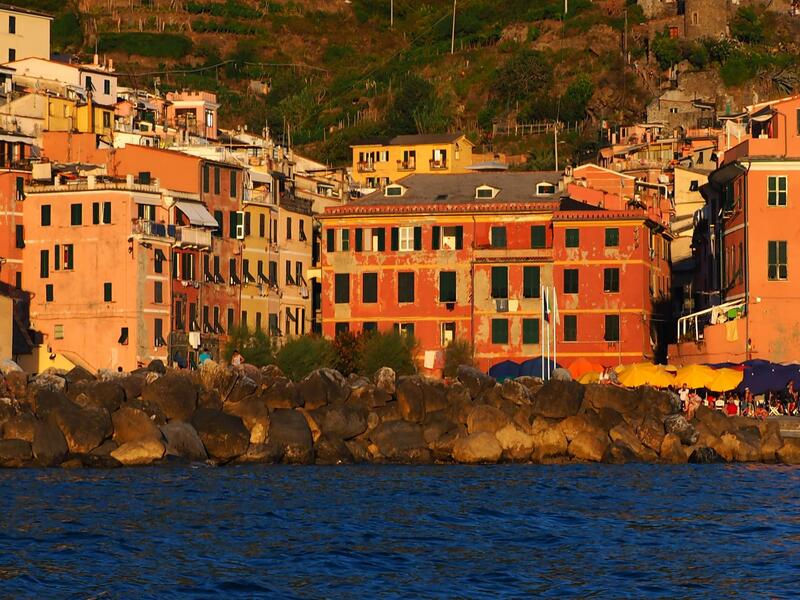 Vernazza is the most colorful, most visited, most praised village of the Cinque Terre. If you want to catch a romantic sunset or walk through one of the most charming central squares, choose it and you’ll love it forever. 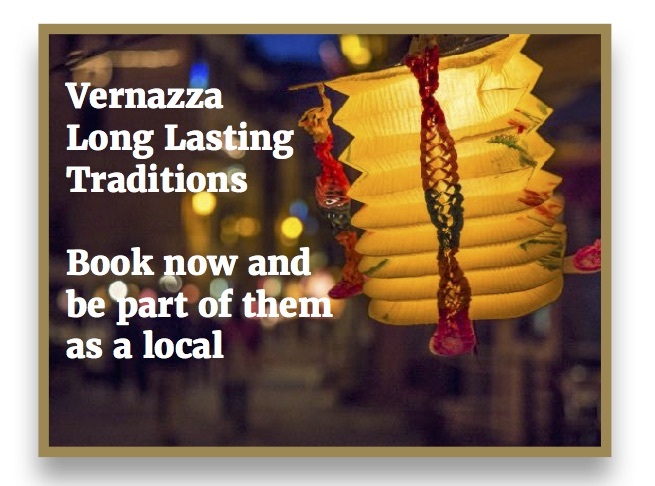 Just pick one of our selected properties in Vernazza and you’ll get the most from your holiday! Vernazza lovely church and house, its ruins of a castle are picturesque beyond description. There are two natural and unequipped beaches in the village one right under Santa Margherita Church, partly sandy and partly with rocks, where you can lay down and get tanned, and a larger one, “la spiaggia nuova” The new beach), created by 2011 flood made up by white pebbles. 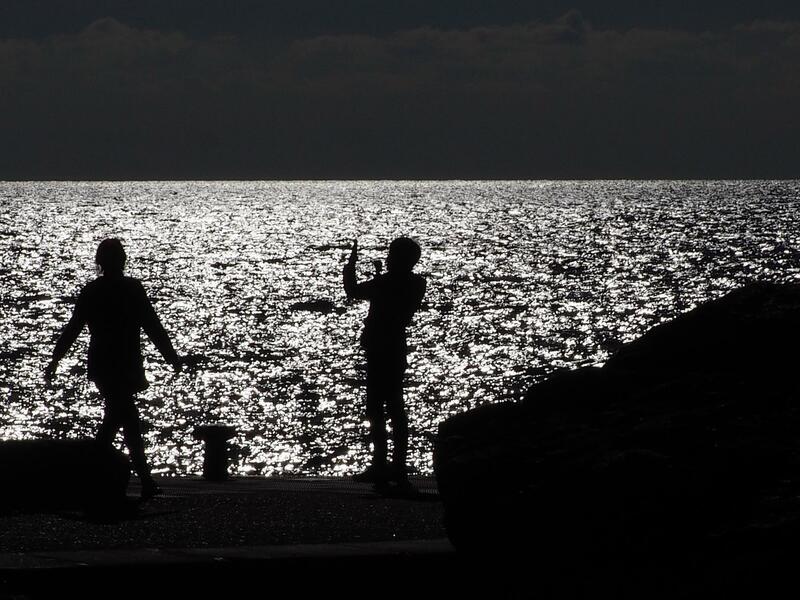 They are all free but unguarded, so always keep an eye on waves in case you are not skilled swimmers. The village is lively all time of the year with the exception of November, January and February, when most of the businesses are closed. It is ideal destination for all: couples looking for romance, families with children, parties of friends. It is also an amazing location for family gatherings or for weddings, anniversaries and any other special occasion. having an aperitif drink at sunset in the main square, like any local does! Ristorante Al Castello, which is famous for the owners family and its great terrace is the largest seda view restaurant in all the Cinque Terre. Ristorante Belforte, as Al Castello which is right under the medieval tower, is famous for its romantic tables on the terraces perched on the cliff. Ristorante Gambero Rosso and Ristorante Gianni Franzi, famous for their colourful sun umbrellas in the main square. 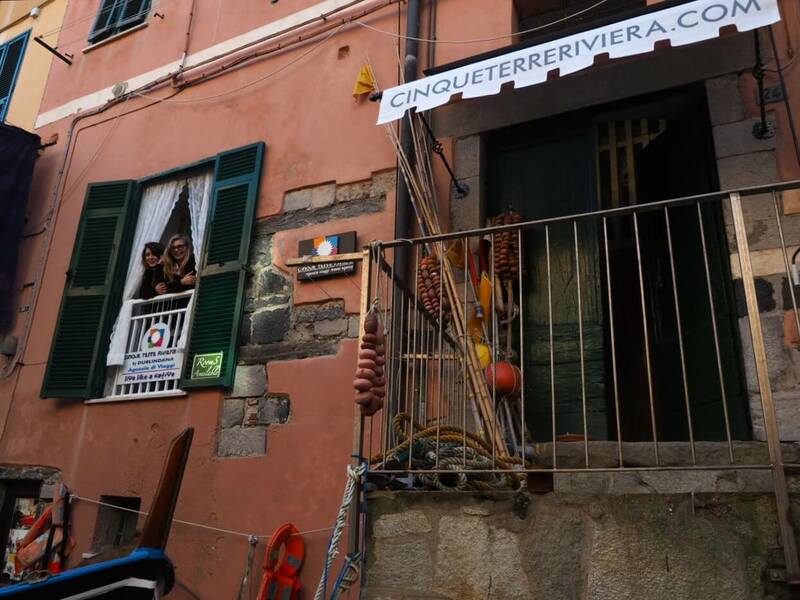 They are like an icon of Vernazza: great menus and tasty fish and sea food. Trattoria Taverna del Capitano, which is still in the main square, remains opposite side of gambero Rosso and Gianni Franzi. Trattoria Incadase Da Piva is the cutest place for lunches and dinners in a curious backroad of the main street. Trattoria il Baretto and Ristorante Da Sandro that are right in the main street Via Roma, Lovely places for tasty food. Ristorante La Torre, which lies on the path to Corniglia. If you are ready to climb up, the view is amazing from there. You can find also many pizzerias (take away or with table services) such as Pizzeria Fratelli Basso, Pizzeria Baia Saracena on the harbour, Pizzeria Batti Batti for take away pizza, focaccia and vegetable pies slices, Friggitoria Batti Batti for fried finger foods served in paper cones, Pizzeria Vulnezia in the main square, an amazing place for pizza, but also for risotto and sea food. And many bars and pubs such as Blue Marlin Wine Bar near the train station, often offering music shows in the evening, Lunch Box, serving healthy food and lovely breakfasts, Vineria S. Marta, a nice place for wine and local food, and Ananasso Pub, right in the main square, the bar where everybody goes for a memorable aperitif drink at sunset. porterage and baggage deposit at the train station, laundrette at the entrance of the village, near the post office, taxi and porterage services, info point of the Cinque Terre National Park right at the train station for maps and all about hiking trails. 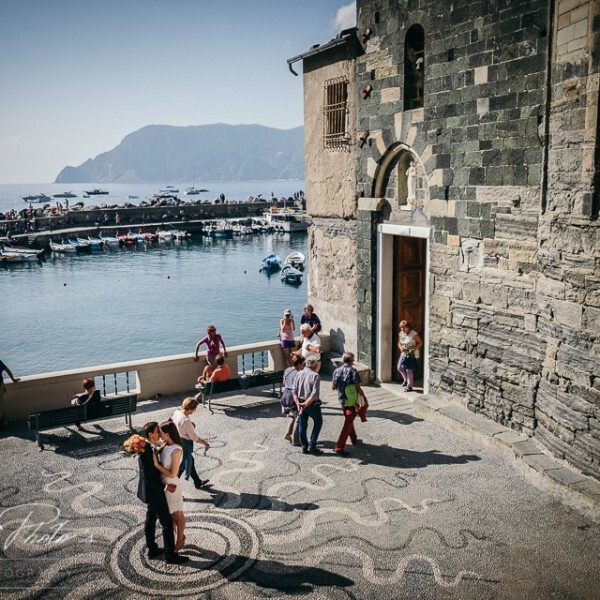 Accommodation, destination wedding planning and wedding proposals provided by Cinque Terre Riviera. 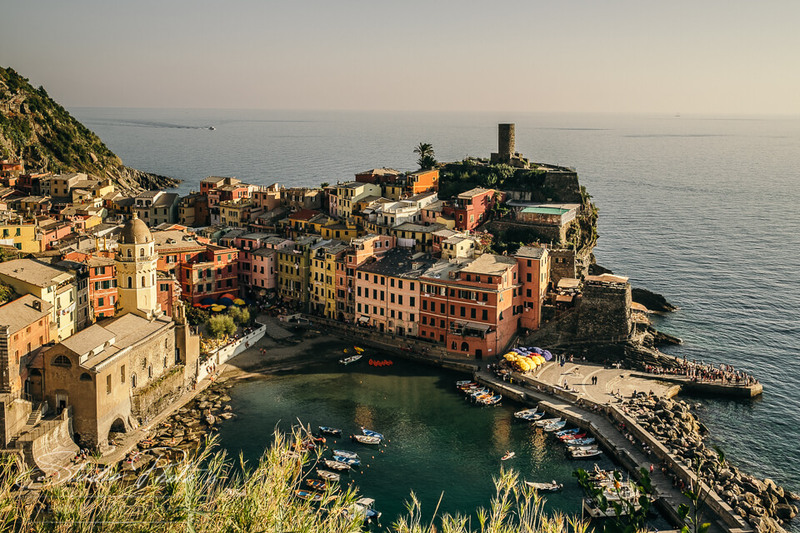 From the very first moment you reach Vernazza we’ll be there to help you. 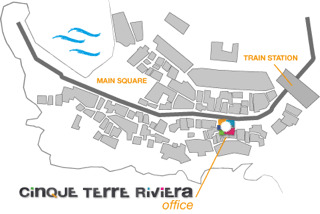 Our Office in strategic position, located right along the main road (Via Roma 24) in Vernazza, just a few meters on foot from the train station and the main square, is open from March to October 11:00 a.m. to 6:00 p.m. It’s so easy to find us! If you want to meet us, plan something special or get more info about our services, come visit us. 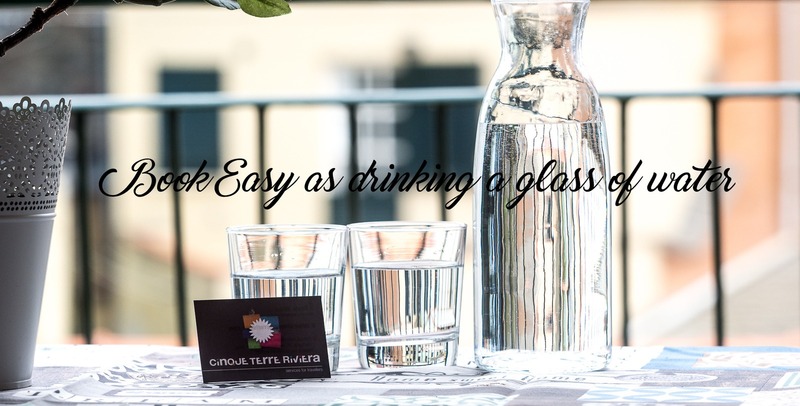 We are there to help you with your check-ins and check-outs, but also in finding last minute accommodation, transfers, train trips, boat tours and cooking classes reservations or just for restaurants or wine tasting bookings and suggestions. Do not hesitate to visit us. We will try to accomplish all your requests and understand want you want most from your holiday in the Cinque Terre Riviera. Our long-lasting experience as travel agents (26 years in business industry!) and travellers teaches us how difficult is getting all our desires fulfilled when on holiday in a foreign and far away country. If you are coming from Milan or Genoa, motorway A12 (Genova Livorno) exit at the sign CARRODANO (you are now 20 km from the property). If you are coming from the the south exit at LA SPEZIA. Keep driving following CINQUE TERRE signs. 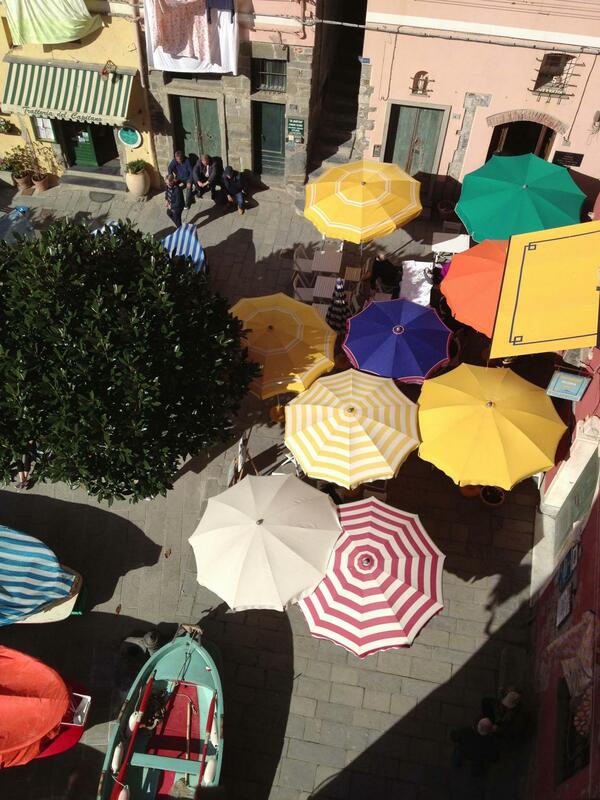 As far as Vernazza car parking is concerned, we warmly advise not to reach the village by car. Road path is uneven and you often meet constructors, catering vans and emergency vehicles on the narrow road to reach the village. There’s a car parking area over the village (about 15 eur per day), but far from properties (about 1 km) uphill. You can easily park your car in La Spezia (if you come from the South), at the garage below the train station (approx. 15 eur per day – and you pay at the end of your staying) or in Levanto (if you come from Genoa or Milan), at public car parking spots in front of the train station (paying ticket is not easy, though, since you have to pay in advance at machines with coins – credit card not accepted), and then easily move from there by train (frequent trains. – approx. 20 min ride). If you are coming from the south get off in LA SPEZIA. 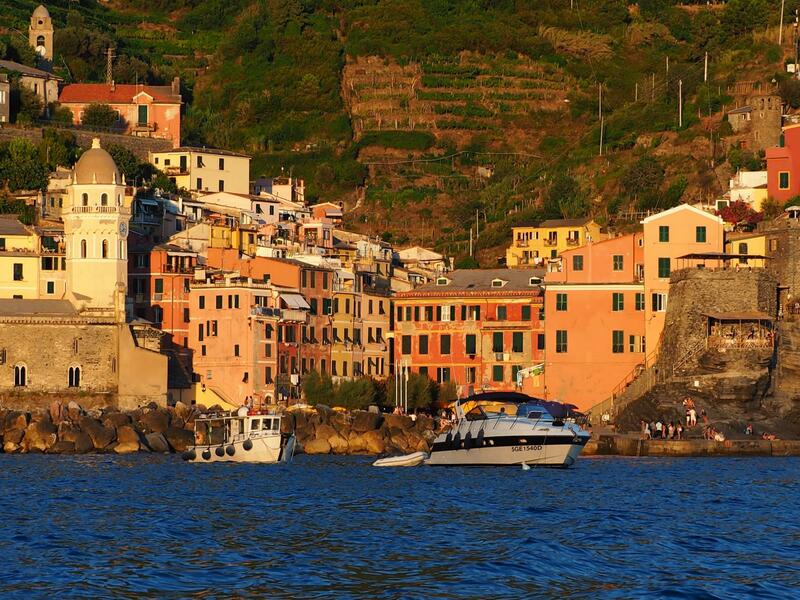 Then both from Monterosso or La Spezia take a local train to Vernazza.